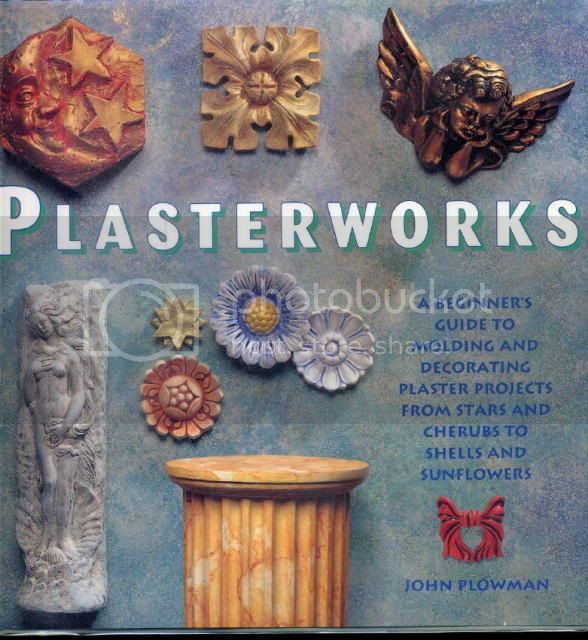 This is a basic book on the craft of plaster work. Whether you are making a master model to make some form of rubber molds to cast parts, or as a stepping stone book to make you own replacement architectural pieces for your own old house. Or just adornment and small items with additives for the plaster that makes it water and weather proof for garden stuff of mixed media . Or if you are an aspiring sculptor, as the author is a sculpture from England and the EU. There are 4 or 5 projects that he takes you through with, a step by step photo layout with any necessary instructions. Most are suitable for tweeny type children with some adult supervision or help as it is plaster. And with kids it can get out of hand in a hurry, even by accident. Both carry the weatherproofing additives for the plaster along with other stuff you might need. There is a location in London but I no longer have a working addy.